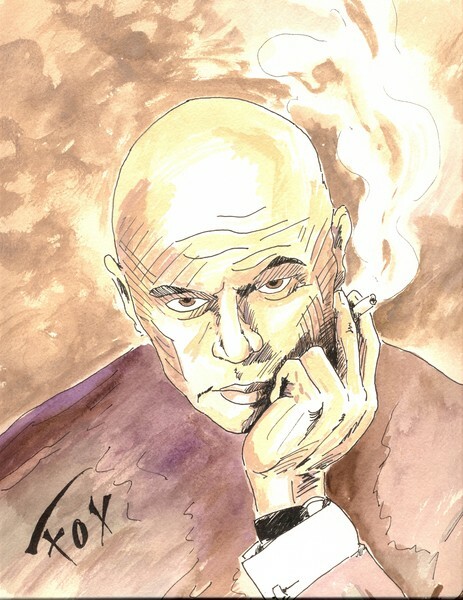 Yul Brynner pen and ink with watercolor wash floated over black fabric matting and framed with distressed gray framing. 11" x 15" unframed, 16" x 20 1/2" framed. Yul Brynner pen and ink with watercolor wash floated over black fabric matting and framed with distressed gray framing. 11" x 15" unframed 16" x 20 1/2" framed.